. . . in which writing & pedagogy meet farming & foxes. Gerard’s keynote that Friday opened the recent River Teeth Nonfiction Conference at Ashland University in northeast Ohio. His opening words hung in the air. I tried to claw my way back to them. Yes. That’s it. Talk about that. Only he moved on into his focus, the allure and the power of research. He’d stated a profundity—in practice, a paradox— about writing and publishing and just as quickly left it. Upon reflection, his intended connection was obvious: give good content. But what’s good? What does serving the reader mean? “Why should I read your story?” haunts writers, especially those of personal essays and memoirs. (And even if writers can answer for themselves, editors and publishers will rule before regular readers can.) How many celebrated books have you not finished? What did most readers like? At base maybe there’s character, or at least personality, that we respond to. Before that, there’s technique. Hence the endless discussions about craft at Ashland in those last days of May. Before the writing conference, I’d ended my teaching year, undergone 2.5 weeks of Hospice volunteer training, and attended a camp for schoolteachers on how better to teach English to non-native speakers. Pedagogy was much on my mind. I’d had my own best teaching semester ever. I’d marveled at the information, enculturation, and student involvement fostered at Hospice and at the way my Otterbein University colleagues taught a classroom full of teachers. At Ashland, there were those thrilling flashes of insight between presenters and audience. Just people helping people, trying to teach them—always a compelling meta-narrative. Maybe the oldest story in the book. 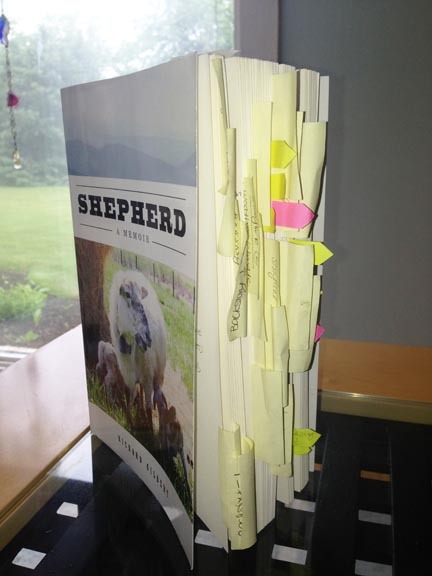 I was thrilled when a friend at the conference, Jenny Patton, showed me her mauled copy of Shepherd: A Memoir. In the midst of writing her own memoir, mine had helped her with structural ideas. I admired in her that wonderful focus a working writer achieves. I likewise ransacked books— late in my own process, Cheryl Strayed’s Wild (discussed) gave me ideas about how and where to deploy backstory. All the same, I’ve never seen any book marked and flagged like Jenny’s copy of mine. Yet it seems a hurdle for Shepherd that farming has become exotic. Even as we’re in the midst of one of America’s back-to-the-land booms, beyond that niche there may be less knowledge and less interest in agriculture than ever in human history. At least in developed nations that take food for granted. Every evening at Ashland, walking back to my dorm stuffed full of craft tips and conversation, I called my wife, Kathy, to get her very personal news from the farm front. About the time I headed north for the conference, she had driven south, to Virginia, to farm-sit for our daughter Claire and her husband, David. 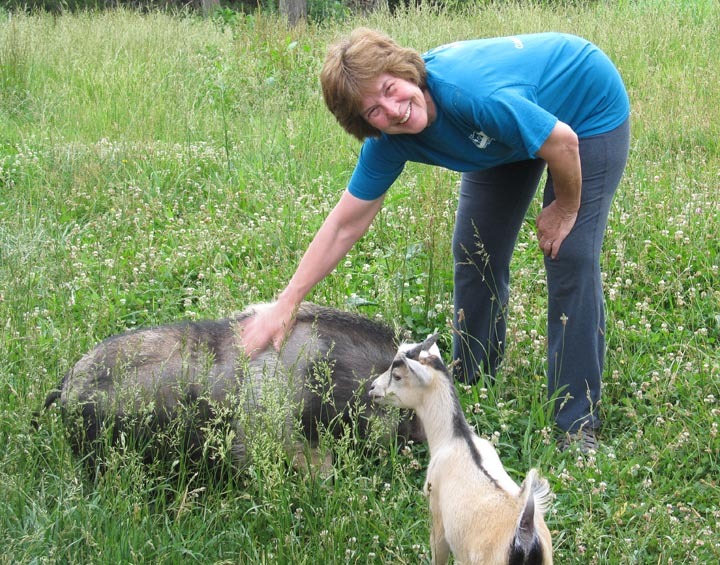 Alone except for their animals—a pig, four goats, four mallards, countless chickens and bantams in three groups, a dog and two cats—Kathy was feeling disoriented and sometimes lonely. In one day, she’d gone from an intense office job to a quietly demanding and thankless role as a caretaker tethered to ornery animals and the whims of weather. She was finally relaxing Saturday afternoon, reading a novel in the porch swing between chores. 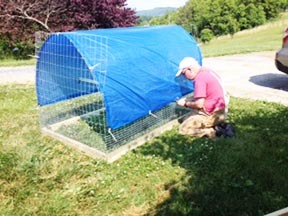 Claire’s laying hens came cuk-cuk-cukking across the lawn, chasing bugs and nipping bluegrass. A movement caught Kathy’s eye. She saw a red fox dash from a stand of pines 20 feet from her and grab a fat hen by the wing. Kathy yelled and ran and threw her shoe. But that fox carried away its prize, scoring a tender five-pound dinner. Anymore you can’t assume that, somewhere in America on any given day, somebody will get kicked by a mule. I’m here to tell you, however, that at least one hen was snatched by a fox one Saturday in Virginia. Kathy freaked out, of course: violent death on her watch. She wasn’t mollified when I mentioned that she’d merely entered a new narrative. She, Claire’s clueless chicken, and that wily fox, were actors in an ancient drama. 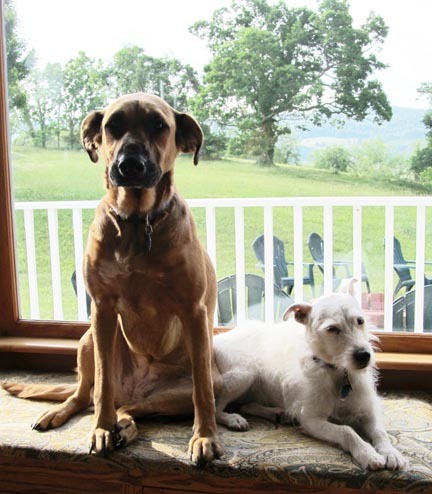 I was the new player—along with our dog, Belle, who would get to visit her cousin, Claire and David’s dog, Brownie. After driving home Sunday afternoon to re-pack and sleep, I ransacked our garage for my old pen-building tools—various pliers and cutters and crimpers, some staples and deck screws, my cordless drill—and hit the road. 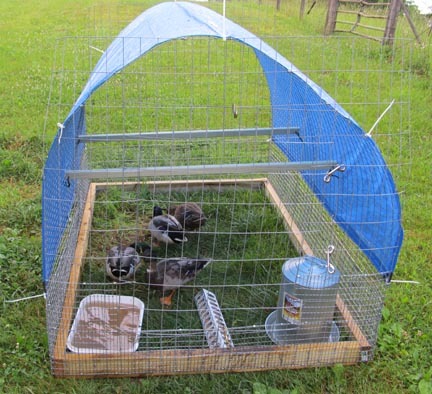 Kathy’s ending of the flock’s free-ranging ways had underscored serious limitations in our daughter’s avian housing. I keep abreast of poultry appurtenances and was excited about building a couple of light, moveable grazing pens. When I arrived in southwestern Virginia—a modest drive from central Ohio, except the whole of West Virginia is always in the way—rainy weather had set in and the need seemed more dire than I’d imagined. Six adolescent partridge Plymouth Rocks were now caught full-time between two other groups in their pen: the mallards (though happily playing in the soupy outside run, they were irritable chook tail-biters) and two grouchy mature hens (comb-pecking hussies) that dominated the small coop’s covered portion. 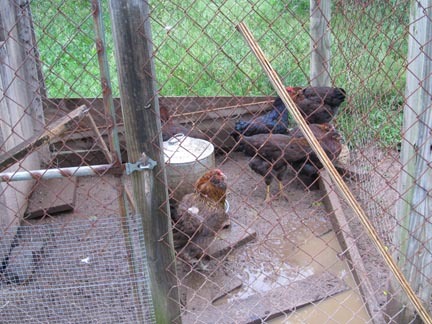 The sodden and mud-spattered young chickens appeared miserable. Kathy and I drove around half of Monday, gathering wire and wood. We plan to retire there, near the university town of Blacksburg, and it struck me that, for some reason, we’re fated never to leave Appalachia for long. 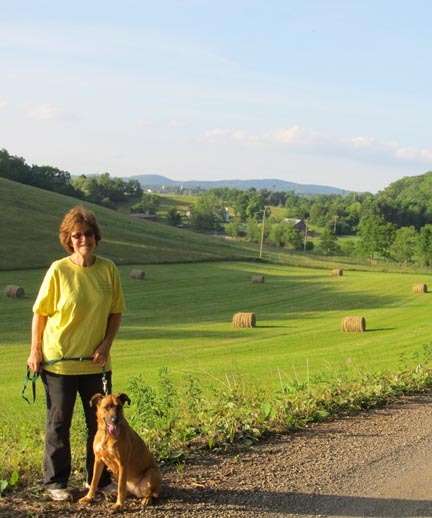 Much of Shepherd deals with our initial culture shock in Ohio’s Appalachian region. Southwestern Virginia is Appalachian as well as southern, and for the first time I experienced what that meant. These influences can seem jarring, maybe a bit schizophrenic. But a dollop of southern charm softens the warier hill culture, and the overall graciousness and the more relaxed pace felt refreshing after busier, blander Ohio. It amazed me how hard I worked and how sore I got building two measly 4×6 pens over 2.5 days. Squatting and hammering revealed gravity’s renewed mastery over my 59-year-old body. Getting up and down and moving around, fetching supplies and bending or cutting welded wire, involved staggering. Everything took astonishing effort. At night my spine burned, my neck stiffened, my knees ached. My hands, bent like claws, could hardly hold my medicine: ibuprofen chased with beer and bourbon. “Why didn’t you tell me that aging is like being stoned?” I asked an older friend. My problem, he informed me, is I’m out of shape. Fair comment. We left the farm five years ago, and I sat down. Kathy and I have our exercise routines, sure—walking around the neighborhood daily and lifting weights a couple times a week—but there’s nothing like physical labor to make a mockery of chichi suburban fitness. Of course no one had sympathy for my suffering. Friends and family laughed at my complaints, and blamed me for Claire’s farm. “Genetics will out,” Kathy said. Okay, fine. But, for the record, I have never furnished a house or a barnyard—let alone both—from Craig’s List. Recovering in Ohio, I’ve begun to suspect I’m one of those men whose externalized obsessions keep him sane. Sheep farming occupied me for a solid decade; then I wrote a book about it, which took almost as long, seven years. Maybe, like returning to Appalachia, I’m fated to keep teaching writing and writing about farming. At least one thing’s certain: I’ll be taking care of farm animals again whether I own them or not. 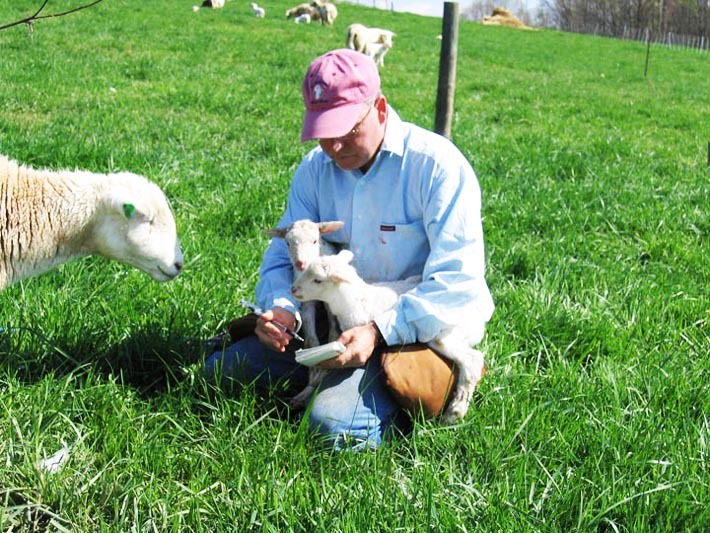 I believe that anyone who was brought up on a small farm with animals and plants to care for will forever be a farmer. I live in a small city, in a lovely park like setting. I am thrilled when I can the two goats mowing the lawn of a neighbor who lives about half a mile away. I also wonder how I might bring a miniature horse or donkey and a few hens on my 1/3 of an acre lot. I dream about it alot. Well said, and thank you for commenting, Joan. My my aggrieved tone – probably a failed try at humor – has more to do with my own poor current physical condition than caring for animals. In truth, I am glad they’re in my future, and Claire’s give me the option of having my own or not. Hi, Richard! I know what you mean about the farm culture needing to be more flourishing. Around here in the Northeast, there are numerous large food trailers and tractor-trailors with the bumper sticker on them which puts it quite succinctly: “No farms, no food.” So there we go! Indeed, Victoria. There appears to be a huge gulf across the nation between mega farms, which produce probably 90 percent of the nation’s food, and various kinds of alternative farms. I think our food system would be more healthy with more of each, since a tiny minority now grows food for the vast majority of Americans. No doubt, Darrelyn! She actually hits the treadmill when we don’t walk outside, while I think about it, I’ve noticed. Hey, it was a win-win. They benefitted, and I got to try a new pen design and to feel like a hero. I’m glad, Beth. And impressed you can see that from my photo. He’s a hoot. Ken just took a part time job at a green house, because I begged him to find something to do while I”m writing, and I’ve also been begging him to get some exercise. He’s feeling much less achy and ornery. Be warned: it gets worse if you don’t stay fit. Ken is 72, and he was very fit and physically active all his life, until 5 years ago. His decline after just two years of not gardening and chopping wood was shocking. (Good thing muscles have memory and he didn’t wait too long–his recovery of strength/flexibility and loss of soreness has been equally stunning; it took 4 weeks). Also, for the past week I’ve been deeply and actively pondering the very question you opened with — how to serve the reader. And, for the record, Jenny Patton’s copy looks like my copy, except I used large post it flags in intense colors, so mine resembles an explosion of hot house hybrids. I think it’s charming. Glad you and Ken are working out the writing/activity balance!